Students apply basic engineering principles and technical skills to the design and engineering of welding and joining systems. Students also gain knowledge in materials science, computer-aided design and welding processes and metallurgy. 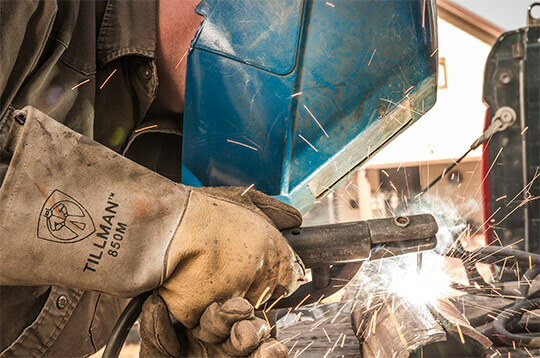 This degree allows graduates of NCK Tech’s 9-month Welding program (offered in Beloit and Hays) to transition into a second-year Associate of Applied Science degree program. This degree allows graduates of NCKTC’s 9-month Welding program (offered in Beloit and Hays) to expand into a second-year AAS degree program. Students combine 15 credit hours of the prescribed technical coursework through Fort Hays State University’s Industrial Technology Studies Program with 6 additional general education credits from NCKTC to fulfill the requirements for the AAS degree in Welding Engineering Technology/Technician awarded by NCKTC. Got a question regarding the Welding Engineering Technology/Technician program?